Unimotor hd is a high dynamic brushless AC servo motor range designed for use in pulse duty applications where rapid acceleration and deceleration are required. The motors are available in six sizes from 0.55 to 190..
Unimotor fm is a high performance brushless AC servo motor range designed for use in demanding continuous duty applications. The motors are available in six frame sizes with various mounting arrangements and motor lengths. 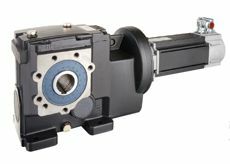 Digitax ST is a dedicated servo drive optimized for pulse duty. The drive is designed to help meet the demands of modern manufacturers for smaller, more flexible and higher performing machinery. Dyneo® delivers reliability, robustness, a wide range of options, flexible adaptation, easy commissioning and a short return on investment. 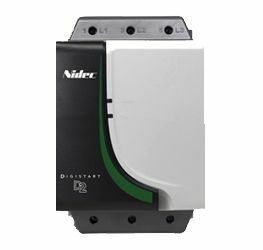 Dyneo is mechanically interchangeable with all standard IEC 34-30-1 motors (frame size, flange, shaft end). This new variant immediately offers a premium energy efficient solution without modifying existing IEC equipment. 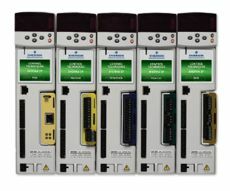 AC, Servo and DC drives that save energy, increase productivity and reduce operating costs Emerson Industrial Automation is a leader in the manufacturer of AC, servo and DC variable speed drives, motors, and automation solutions for commercial and industrial applications. Our innovative Control Techniques and Leroy Somer products are used in the most demanding applications requiring performance, reliability and energy efficiency.